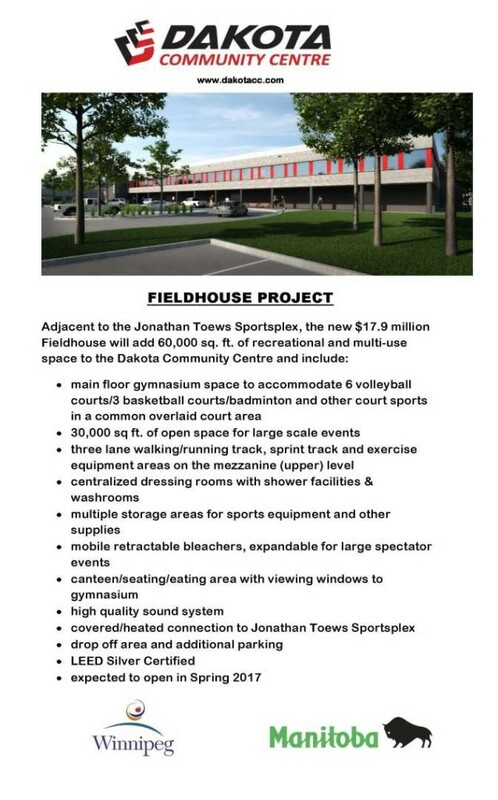 The community is invited to attend a public information session to view the project plans for the new multi-use fieldhouse at the Dakota Community Centre. Thursday, October 15, 2015 – 7:00 p.m. to 9:00 p.m. The public information session will be a “come-and-go” format, and will include presentation boards. There will be an opportunity to speak with staff and board members from the community centre as well as City staff and the project architects about the plans and architect’s renderings, which are also available here. There is ample bike and vehicle parking at the venue. 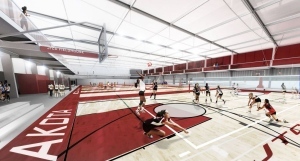 Announced in 2013, construction on the new 55,000 square foot multi-use fieldhouse is expected to commence later this fall, with an anticipated completion date of spring 2017. Funding commitments for the $17.9 million expansion project will be shared between the Province of Manitoba ($7 million), the City of Winnipeg ($6.7 million) and the Dakota Community Centre Inc. ($4.2 million). I will be attending this event, and look forward to chatting with residents!